Advent has a wreath. Christmas has a tree. Lent has Ashes and palms. Easter has fire and water and lilies and signs of new life. Symbols are so important for us to allow religious meaning to enter into our lives. Through symbols we actually assign meaning to ordinary things. It is a very incarnate and sacramental thing to do. What symbols can we use during Ordinary Time? The liturgical color for Ordinary Time is green. Green is meant to symbolize hope, to be a symbol of life. Several things are possible to take advantage of this seasonal color. 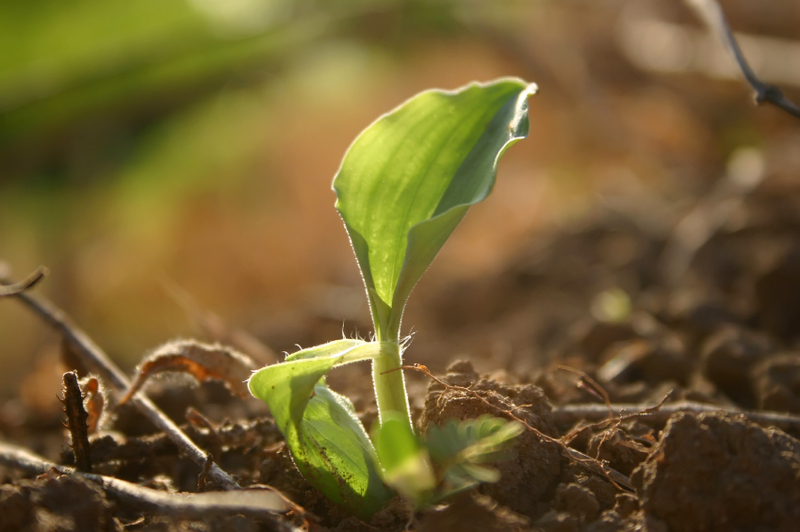 We can imagine taking a green plant that we already have, or getting one, and placing it, or a cutting from it, in a prominent place in our house to say that we are going to be hopeful in God's love for us. God's love, like the life flowing through this plant, is faithful. When we look at the plant, we can be conscious of an inner desire - perhaps expressed in a verbal prayer - that God give us hope and trust. And, when we water the plant, or perhaps give it plant food, we are nourishing this life, as God nourishes us. A simple symbol, but it can be a very ordinary time gift for us. Other basic symbols can be drawn from where we are and what is common and ordinary in our region. I might, for example, be near the sea or a lake. I could gather some beautiful shells and put them in a simple bowl as a sign of the life around me. I might be in a more arid or even desert area and a number of stones or a small amount of sand could be placed in a bowl to be a sign for me of the earth and God's care for us in this area. I might be in a rural area, and have the opportunity to bring some flowers from a garden or simple wild flowers from a nearby field. Whatever we gather and intentionally let be a symbol by assigning it some meaning, we open a door for God's grace to bless us. In general, the themes we might consider to find symbols for are about the journey we are on. We are counting time, week by week, listening to God's word and growing in our relationship with God. This is not a season of "nothing going on." It is a time which we can symbolize growth, movement, process, life. During Ordinary Time, we can do something as simple as taking something we always do each day and doing it in a symbolic way. For example, we might be in the practice of putting our keys on a table when we come in the house. We might be in the habit of putting our mobile phone on the table as well. 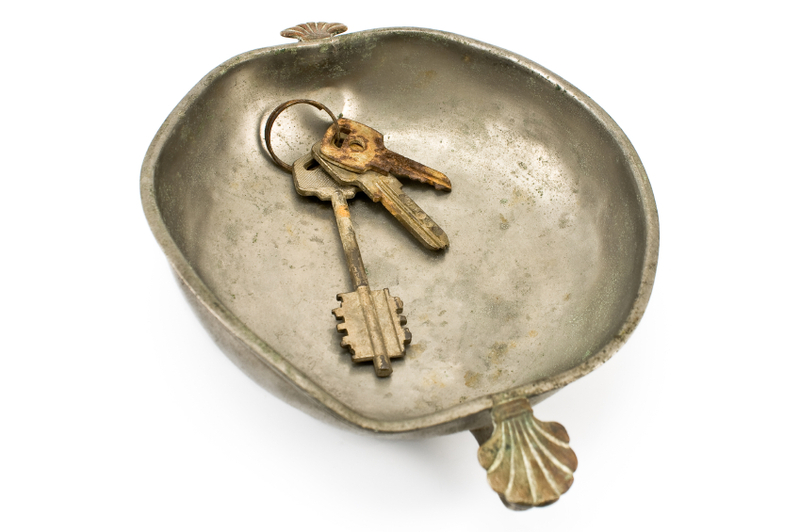 During Ordinary Time, we could get a simple bowl or plate and put our keys or phone on that bowl or plate. We could perhaps find a simple green cloth to put in the bowl or on the plate. It can be the symbol of our commitment to be faithful to the journey of these days, and to place our trust in our faithful God. We can even offer a simple prayer, like, "Lord, these keys represent (this phone is a symbol of) so much of the commitments I have made and the places you have called me to be and where you have called me to serve. Let my placing them in the bowl all during this season give me a sense of taking up this mission you have given me, with hope in you." What activities can I associate with this season? Walking can be a great Ordinary Time activity. Of course, we could use this as an opportunity to walk more than we usually do, but we can also use every time we walk somewhere, in the ordinary course of our daily routine - even if it is down the hall or out to the car or from the parking lot to the store. We can use this as a moment to turn to our God and acknowledge that we are not alone and that God is with us. We are on this journey together. It can be very simple, and become an easy habit to develop. And, before long, our ordinary walking from here to there, expresses communion, acceptance, obedience, even a profound alignment of my life with God's loving mission for me. Prayer before a meal can become an important practice in Ordinary Time. It can be an opportunity to thank God for this food and for those who prepared it, and to remind ourselves to be more thoughtful of those who have so much less than we do. However, it can also be a time to explicitly acknowledge the Ordinary Time Season we are in. With some practice, we can pause, even very briefly, to remember something from the past Sunday's liturgy, which was helpful, or a blessing in some way, for this day. We can be creative as a family, or as individuals to use symbols or activities to remind ourselves that we are part of a larger community of faithful on a journey in this liturgical season. We may find that we like the symbols we used and want to use them again next year. We might discover that something that has happened in our life offers us a new symbol or practice. The key is to give it meaning because it raises our consciousness to what we are doing to let God's grace into our lives, in the midst of our everyday life.